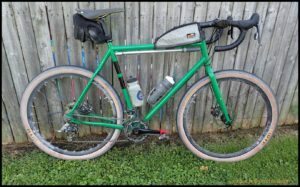 The “other wheel size” for gravel riding, 650B, has already been ridden to success at the 2016 Dirty Kanza 200, and is finding new fans all the time. The newest tread to hit the scene is the WTB Horizon 47, which I have been riding all summer here in the Mid-West. You can catch up on the last update on the Horizon here. The overview of the 650B concept for gravel is found by clicking here. That last link will take you to a menu of all the posts so far concerning the wheels and tires used during this review. Okay, with that out of the way, let’s get the final verdict on these wide, good looking WTB Horizon tires. From pavement to gravel, the Horizon does cover a lot of ground. From Gravel To Pavement And Back: This last stretch of the test on the Horizon tires focused a bit more on pavement to gravel type rides where a larger portion of the ride is done on pavement. 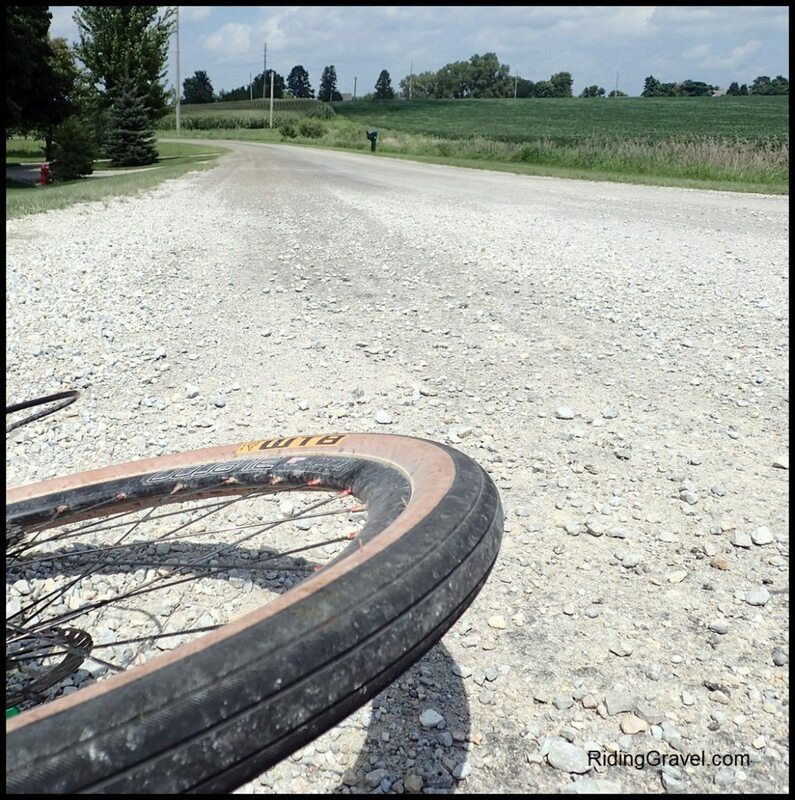 We hear from many of you riders that are having to ride several miles just to find a bit of gravel and you want to know about tires that would be best for doing a bit of harder surfaces along with gravel. In my opinion, the 650B concept, and in particular, the Horizon tire, have you covered there. The Horizons I have been using have been mostly ridden at around 30psi with some variations up and down from that. However; during this part of the test, I actually used 40psi and above on some rides because higher pressures are going to be desired by most riders, whether that is good or bad. (We’re finding out lower might just be better these days.) At any rate, the rides on paved surfaces ranging from completely deteriorated pavement to butter smooth concrete revealed that the Horizon tire gives little away in terms of speed to skinny, 700c fare, but has loads more comfort. The smoothness of the Horizon over rumble strips is amazing. I could barely feel them compared to the teeth rattling ride you’d get on rumble strips from 25mm tires at 100psi. The transition to gravel then at these pressures was not a jarring one, but compared to where I had been for tire pressures, it was a bit more skittish and I got the rear tire to break free momentarily when I got out of the saddle to power down on a climb. Granted, this was on loose, chunky gravel, which is typical for the area I ride in and may not reflect your local roads. Just a little something to keep in mind here as I pass on my thoughts. Not surprisingly, the Horizon is not a tire you would go charging into a gravel corner with, but on dirt, it has a surprising amount of bite. Well……sometimes! This isn’t a mountain bike tire, but those cornering channels do extend the amount of grip you have on tap a bit beyond what you might think given the slick nature of the Horizon’s tread area. At The Finish: The words about the wheel size have already been shared here, so this will focus only on the tire. The Horizon represents a rarity in this format in that it is a tire that is part of a tubeless system and not just a stand alone tire as are the others in this category. This affords the new user to this format an opportunity to jump in with a tubeless set up that is reliable and easy to use and live with. WTB’s TCS rims, tires, and components are tried and true, so this part of the Horizon tire’s capabilities is important to note. In my testing, I used Velocity USA’s Aileron rim and Velocity hubs, which shows that the Horizon can also be reliably used with those components and possibly other tubeless ready rims as well. That said, the tire, while maybe not conforming to the whims of the randonneuring fan, is a stellar tire for a rider looking for the aforementioned ease of tubeless use, and a tire that can cover the pavement needs and gravel riding needs of a rider in one package. The Horizon 47mm tire stands up to the punishment of deep, loose gravel well, and can even plow through a loose, sandy Level B road when called upon to do so. It cannot be expected to take a gravel corner like many other tires with tread blocks can, but other than this, with the correct air pressures, a rider can cover as many miles of gravel as they desire with this tire. Add in the ultra-smooth pavement manners of the Horizon 47 and it could make you park your road racing type bicycle for a long time. Note: The component parts of these wheels were sent to Riding Gravel by the various brands/manufacturers for test/review at no charge. We are not being bribed, nor paid, for this review and we will strive to give our honest thoughts and opinions throughout. Thanks for this review! Very interest to try this tire out once my 42 mm tires wear out. yes I know they will be slower on tarmac than a 25c, I am curious about in say comparison to a Clements MSO 40c. @Tim Rice- I think the Horizons are faster on pavement, cushier, but are not all that the MSO can be on gravel. Close to the MSO? Yes, very, but not better than it on gravel. Why would it be slower? It should be faster because it is wider and hence has less rolling resistance. Will these tires fit a 2017 Cannondale Slate? Cannondale says slate can take a max size 45 tire but WTB said they recently gave Cannondale the Horizon specs and were told a 47 tire would fit. Can you guys confirm or seen this setup on the road? I would love to know if they fit. I’m currently on Grand Bois Hetres and am looking for something wider for some mixed surface touring in southern Europe/Balkans in September. It’s on a light touring setup/650b steel bike. I’m considering either these, Panaracer Gravel Kings, or Compass 48’s (Switchback?). Any thoughts on any of these? Or other suggestions? @Ollie- You are going to be on mixed surfaces, you say? Maybe there might be need for a bit of traction? If so, take a look at the Byway, which is very similar to the Horizon, but has edge tread which would pull you through any unconsolidated or loose terrain you might face. On pavement, you would be rolling the center, smoother section, so just like a Horizon in that sense. The Switchback Hill 650B X 48 would be a fantastic tire on paved surfaces, but it won’t have the traction a Byway would have off of it. I’m normally on pretty mixed surfaces here, forest fire roads, some gravel, some hardpack dirt, but would like (even) more comfort. 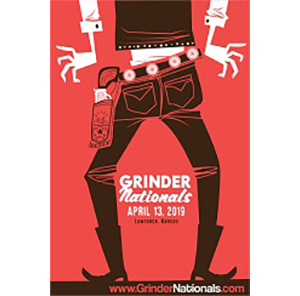 I’ll be touring with my g/f so unlikely to be pushing the limits of traction….! I’ll have a look and see what WTB supplies are like here in Germany. No experience of the Gravelkings? I think you’re in Florida? I planning to ride the Dirty Pecan 100. I have the Horizon 650 x 47’s on a bike I recently bought. Wondering your opinion about those for that ride or would you switch to the Terrene Elwood? Just found your site, great reviews, thanks! @John Switow- Sorry John! I’m not a Floridian. Iowa represent here.